When Guion Bluford, better known as Guy, launched aboard Challenger’s STS-8 mission on Aug. 30, 1983, he became the first African-American to fly in space. Before becoming a member of NASA’s “Thirty-Five New Guys” — the 1978 astronaut class, which had the first African-American and first Asian-American astronauts and the first women — Bluford had a distinguished career. 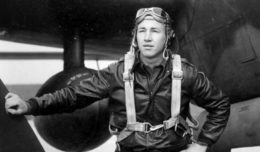 He was an Air Force fighter pilot with a doctorate in aerospace engineering. 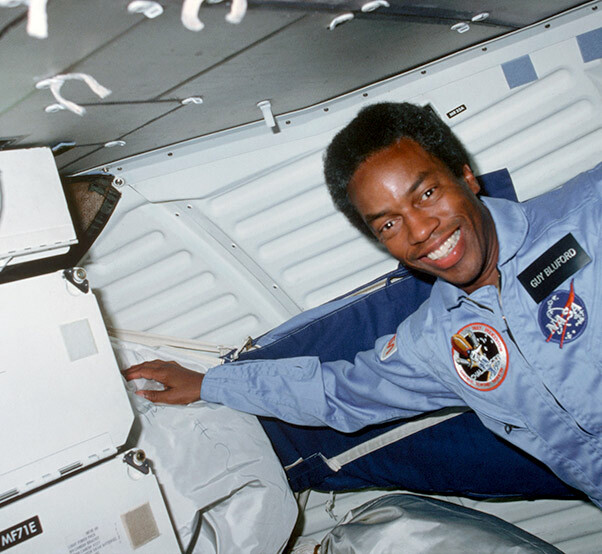 As an astronaut, Bluford worked with space station operations, the Remote Manipulator System, Spacelab systems and experiments, space shuttle systems, payload safety issues and verifying flight software, and flew on three more shuttle missions — STS 61-A, STS-39 and STS-53 — logging more than 688 hours in space.